Sunday Game Plan – Ultimate Vegetarian Meal Plan under $10. Happy Sunday! As I aggressively push myself to lose the remaining twenty pounds, this was a great opportunity for me to resume calorie counting and making entries on MyFitnessPal. So I began burning calories walking to various supermarket checking for deals. As a result I ended going to three Asian markets and spent less than $10 on the star ingredients for this game plan. 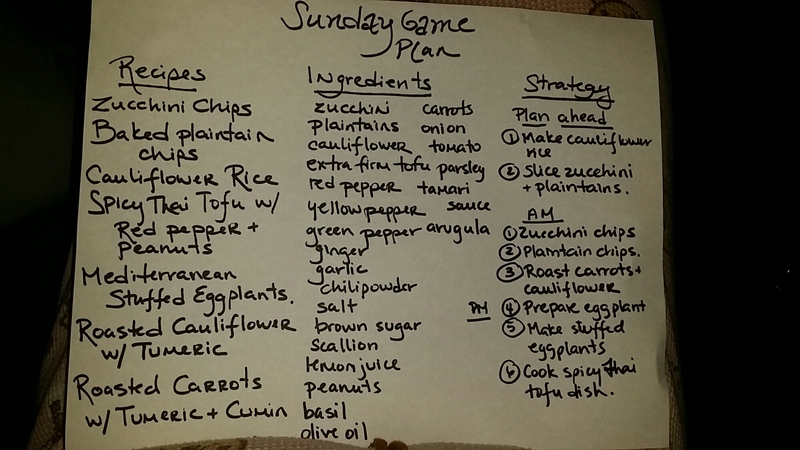 For this game plan, the star ingredients were: zucchini, plantains, cauliflower, tofu, eggplants, peppers and carrots. I am so excited to create these dishes. Stay tuned!